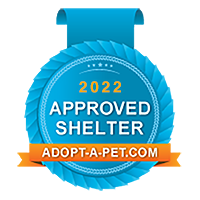 We utilize one database online system to list all our adoptable pets and the database system then pushes our adoptable pets out to thousands of different websites; so we can not control or guarentee how the information is presented. We do keep a "CLOSE" eye on Petfinder and AdoptAPet so we have provided both links below. If you feel you are seeing an error on a website please send us a message in the contact us form with the name of the website and the name of the animal along with species and the information you feel is an error. Thank you!